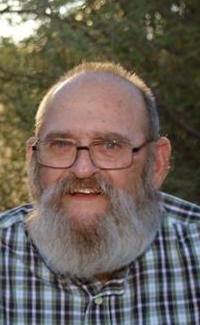 Larry David Hopp, Sr., 73, of South Haven, passed away Monday, March 25, 2019 at his home under hospice care. He was born September 25, 1945 to Carl and Ila (Bredow) in Rogers City, Michigan. Larry graduated from Rogers City High School with the Class of 1964. Larry later served his country in the Marine Corps during the Vietnam war. He married Donna Idalski on July 1, 1978. They shared 40 years of wonderful marriage. Larry worked for the Limestone Quarry in Rogers City for twenty years before going on to work at Haworth for eight years. He retired from Haworth in 2009. He enjoyed wood working and making toys. Larry was an outdoorsman who enjoyed hunting and fishing. He was a member of the VFW Post 607 in Rogers City. He is preceded in death by a sister – Barbara Peltz and brother-in-law – Donald Peltz. Larry is survived by his wife – Donna Hopp of South Haven, sons – Larry (Danielle), Jr. of Grand Junction, and Michael (Angela) Hopp of Huachuca City, Arizona, three granddaughters – Brianna, Ila, and Raven, and brother – Wayne (Marge) Hopp of Rogers City, Michigan. Visitation will be held from 2:00 PM to 3:00 PM on Saturday, April 6, 2019 at the Filbrandt Family Funeral Home in South Haven. Memorial services will follow visitation at 3:00 PM with Pastor Travis Wilson officiating at the funeral home. A luncheon will follow services at Larry and Danielle’s home at 01848 59th Street, Grand Junction, Michigan 49056. Contributions may be made in Larry’s memory to the VFW Post #607, 1316 W 3rd St, Rogers City, MI 49779 or to Caring Circle Hospice at Home, 05055 Blue Star Highway, South Haven, Michigan.